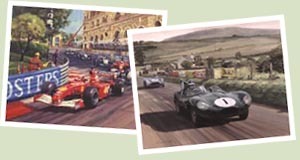 Motorsport prints and cards, reproduced from original paintings by Michael Turner and Graham Turner, including Formula One, sportscars, rallying, driver portraits and prints on canvas. Also includes a selection of motorsport original paintings that are currently available. 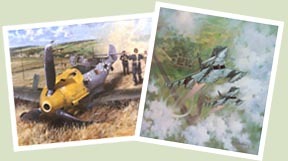 Aviation prints and cards reproduced from original paintings by Michael Turner, President of the Guild of Aviation Artists, featuring Prints, Cards, Books and Original Paintings from all eras of aviation history including the First and Second World Wars, the Battle of Britain, and the jet age. Graham Turner's award winning aviation art is now also detailed here. 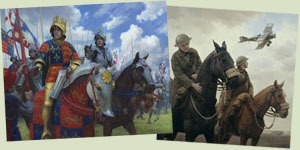 Prints and cards reproduced from historical paintings by Graham Turner, including the Wars of the Roses subjects that he is best known for, plus other periods of history from the Romans, through the middle ages, the Renaissance, Napoleonic and Crimean Wars, to the First and Second World Wars. 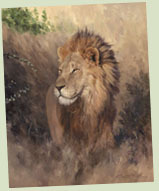 Also includes details of original medieval and military paintings that are currently available.